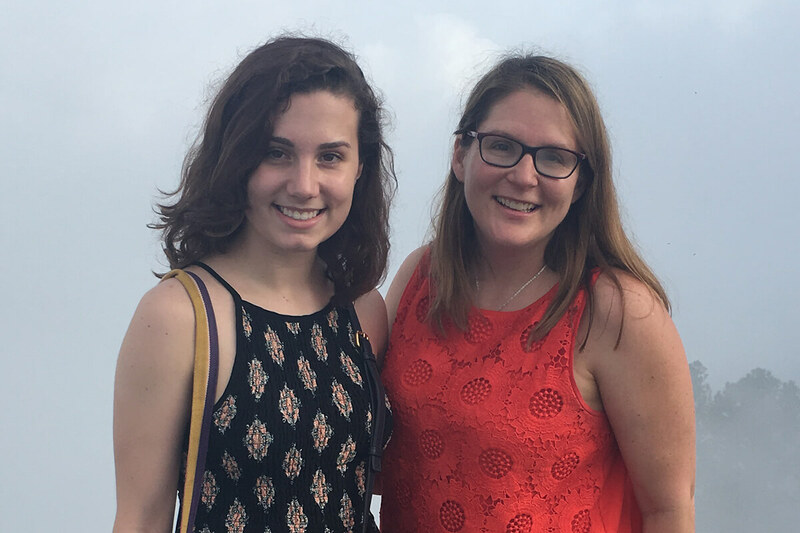 One week into her senior year, Kellogg Institute International Scholar Natasha Reifenberg headed to an academic health conference in El Salvador, presenting a policy brief based on research she had been involved in for the last two years. An opportunity usually reserved for distinguished academics, the trip was just one of many highlights in an outstanding undergraduate career that includes internships at the Global Fund for Women and United Nations Development Program and independent research opportunities centered around women’s issues and rights. Reifenberg attributes her accomplishments to her education in Notre Dame’s College of Arts and Letters — particularly her philosophy major. “Philosophy is a good foundation that allows me to have a very interdisciplinary focus,” said Reifenberg, who also has minors in sociology and philosophy, politics, and economics. “It has really provided me with the tools for approaching other disciplines with a unique lens. Reifenberg is a part of the Kellogg Institute International Scholars Program, which is designed to bring highly talented and intellectually motivated students with an interest in international issues into the activities of the institute. Also a Hesburgh-Yusko Scholar and Glynn Family Honors Scholar, Reifenberg grew up in Chile, where she was instilled with a sense of social justice from a young age. After moving to the United States before high school, she found that in some cases, gender norms were more backward and sexual education was more limited in her public school in the U.S. than in her Catholic school in Chile. With that understanding, Reifenberg sought out opportunities to engage in meaningful work on those subjects. Her journey began during the summer after her first year at Notre Dame, when she worked as a program intern for Latin America and the Caribbean at the Global Fund for Women in San Francisco. The Global Fund supports grassroots organizations geared toward building powerful social movements for women’s rights. “I got to play a role in influencing the regional priorities for the strategic plan by doing a lot of independent research on issues in Latin America and the Caribbean, like the positive effects of women’s integration into the peace process in Colombia, child marriage in the Dominican Republic, and more,” Reifenberg said. Reifenberg’s experience at the Global Fund was also a crucial step toward landing a research position with prominent El Salvadoran scholar and Harvard sociology professor Jocelyn Viterna. After showing Viterna her work from the Global Fund — and demonstrating knowledge on the laws and gender politics in various regions of Latin America and a commitment to advocacy for fundamental women’s rights — Reifenberg began researching in Cambridge the summer after her sophomore year. She then traveled to El Salvador with Viterna to conduct immersive fieldwork. Reifenberg with Harvard sociology professor Jocelyn Viterna at the Puerta del Diablo in El Salvador. During winter break of her junior year, Reifenberg also traveled to Poland with funding from the Glynn program to research the connection between reproductive politics and fragile democracies in the context of the Black Monday protests. Last summer, Reifenberg interned with the United Nations Development Program in Washington, D.C., where she was exposed to another method of effectively promoting social change. Reifenberg’s work there was much more quantitative and involved drafting papers to aid in efforts to lobby Congress for funding by emphasizing the organization’s importance through support for security, stability, and rule of law. 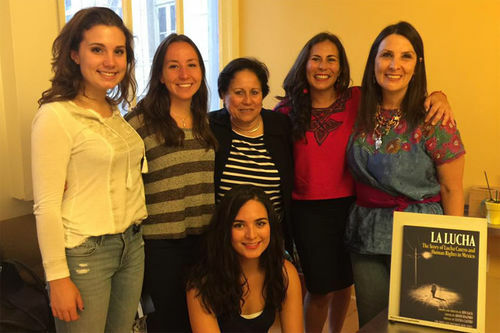 Reifenberg met human rights Mexican activist Lucha Castro during her internship at the Global Fund for Women. After presenting her research with Viterna at the National Forum of Health in El Salvador last fall, Reifenberg is now working on a senior thesis focused on connecting theories of gender governance and street-level bureaucracy to the pattern of women being incarcerated for aggravated homicide after suffering obstetric emergencies in El Salvador. She recently co-published an article with Viterna based on dozens of in-depth interviews with doctors on reproductive health care practices. Following graduation, Reifenberg plans to pursue a dual degree in sociology with the ultimate goal of promoting national and regional legal reform to improve the welfare of women in Latin America. In the meantime, she continues to work closely with Viterna and is applying for fellowships to support her research full time. At Notre Dame, Reifenberg has found supportive and encouraging faculty across disciplines willing to help her advance her research and find ways to fund her pursuits.